The 40-year-old ban on public funding for abortion is not just a burden on individual women. Today is the 40th anniversary of the Hyde Amendment, the policy that severely limits the use of Medicaid to cover the cost of an abortion. 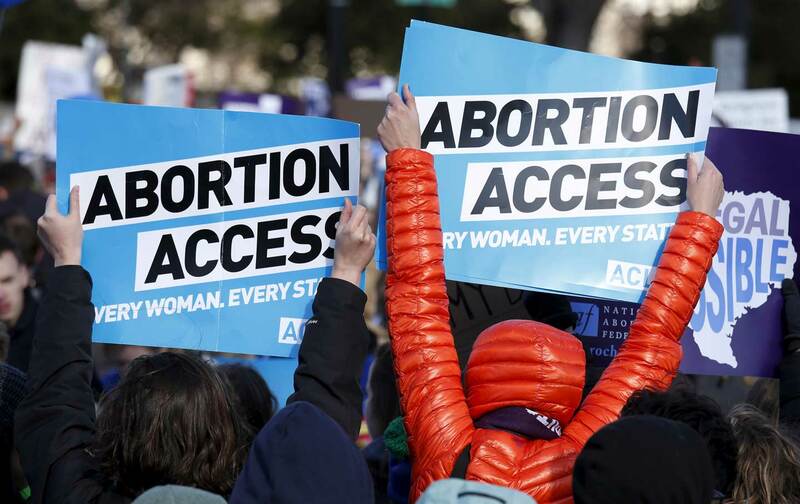 Since Medicaid enrollees are predominantly low-income women, the Hyde Amendment has essentially turned abortion into a luxury item for women who can afford to pay for the procedure out-of-pocket. Hyde is often siloed as a “women’s issue.” But when women cannot control their bodies and their reproductive futures, it is more difficult for them to advance economically. And since women make up more than half of the US population, it matters when something holds women back. Because of the Hyde Amendment, women who receive health coverage through Medicaid face two sets of financial obstacles if they need an abortion. First, they must cover the direct costs of the procedure without insurance. A first-trimester abortion cost an average of $470 in 2009, which is already more money than many Americans would be able to come up with in the case of an emergency. Second, these women must also bear the practical costs imposed by state restrictions, like multiple doctor’s office visits and unnecessary waiting periods. A low-income single mother who needs to pay for travel to the nearest clinic, a night at a hotel due to a mandatory waiting period, childcare, and lost earnings from work, could end up paying an additional $1,380. Women who want an abortion but can’t afford the out-of-pocket costs inflicted by Hyde face major consequences over the course of their lifetimes. Studies show that women who wanted an abortion but were not able to obtain one faced worse economic outcomes, were more likely to live in poverty, and often carried unwanted pregnancies to term. This isn’t just a burden on these individual women. When women do not have the power to choose the lives they want, it affects everyone. This is clear on a state level: The states that have the most open access to abortion are often the states that have a general climate of greater opportunity for women. In Massachusetts, where the only restriction on abortion access is parental notification, legislators recently banned employers from asking prospective hires about previous salaries as part of their effort to close the pay gap. At the other end of the spectrum, states that have the most restrictions on abortions oftentimes have lower economic opportunity for women. Alabama and Mississippi are tied for the worst economies for women, and these are also two states with significant abortion restrictions. This matters on a national level, too. When a woman can gain access to the best opportunities for herself, she will be more productive and earn more. That allows her to contribute more to her local economy and to the GDP in a multiplier effect, where economic activity generates even more economic activity and contributes to growth. Since nearly 21 million adult women are currently covered by Medicaid, that has the potential to make a major impact on the national economy. The way our country—and our legislators—address bodily autonomy and economic opportunity reflects the value we place on women as full members of our society. If we are a country that values women, regardless of income, then it is time to repeal restrictions on abortion. When our public policies promote the prosperity of women and families, the country prospers too. Jamila TaylorDr. Jamila Taylor is a Senior Fellow at the Center for American Progress focused on domestic and international women’s health, reproductive rights, and reproductive justice.